In this new season, we address the 10 Essential Lessons for Life. 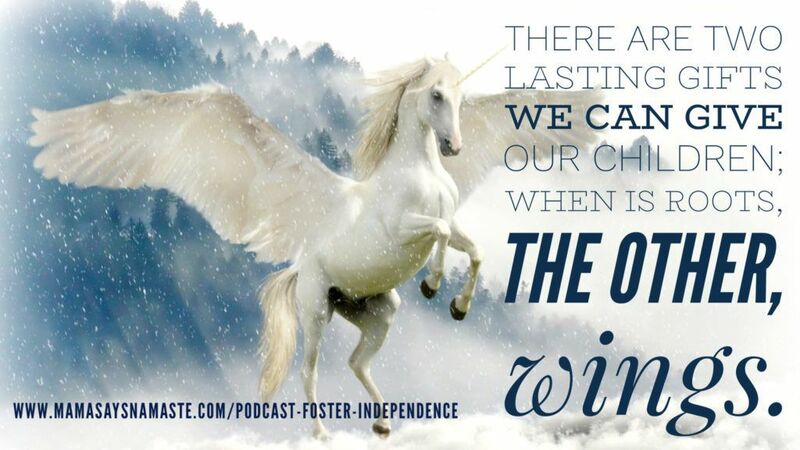 In our second lesson here, we talk about fostering independence…not only in our children, but in ourselves as well. What is holding you back from freedom? What would it take to truly make you feel free? What’s holding you back from freedom? In Season 4, “10 Essential Lessons For Life,” we give you a series of insights that will hopefully motivate and inspire you with your own family. These core lessons and values are the foundation of our family. We will continue to grow throughout our lifetime, and there is no way we can teach our children everything. Yet these lessons are the pinnacle of what we believe in. It’s not just us parents teaching our children, either. The first five lessons are what we’ve imparted to our daughters. The last five are the valuable lessons they’ve taught us. 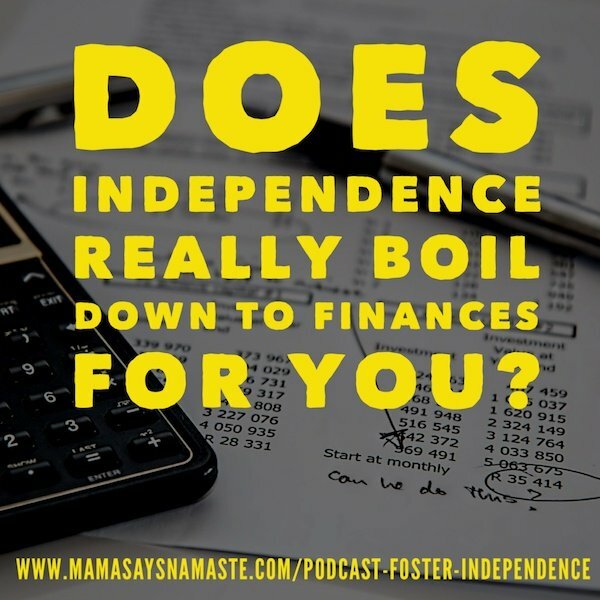 What does financial independence look like to you? What is the bare minimum you need to live by? How much money do you really need? You need the confidence to step out…and the competence to identify when you need to really ask for help. www.MamaSaysNamaste.com/no-excuses – it will always stay “one day” until you speak it into reality and create plans to make it happen. Allow your children to earn the right for their independence. 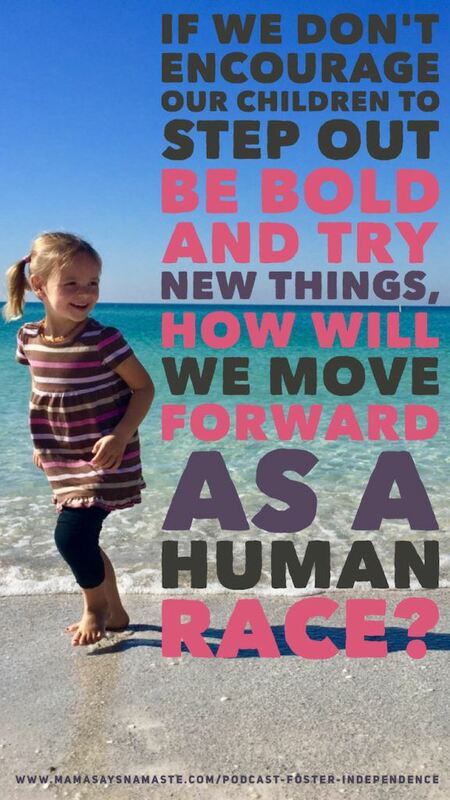 Give your children grace… and space to fail. To fall. And, to get back on. This is a powerful lesson for all of us. Give yourself grace to fail. Give your children safety in boundaries that are broad enough it allows them to truly explore. 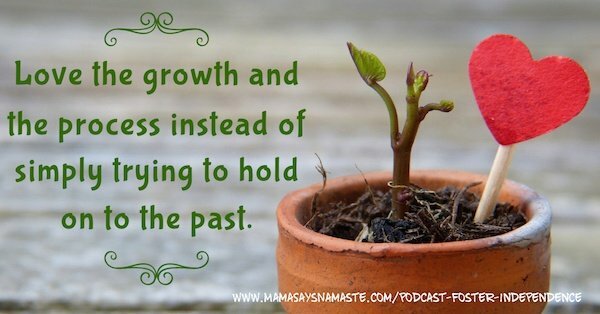 Love the growth and the process instead of simply trying to hold on to the past. Here is your challenge for the week. Let go of one thing you are doing for your children. It may be wiping their hiney, combing their hair, or cooking breakfast for them. What can you give your children that adds to their life skills while also lessening your to-do list for the day?